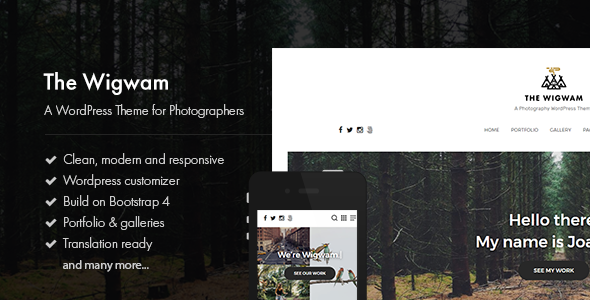 The Wigwam is a modern and clean responsive photography WordPress theme made for photographers. The simple and clean layout makes sure that your photographs take the center stage. Featuring your work will never be easier with the beautifully designed gallery and portfolio layouts; just upload your images – the theme will do the rest.